will be taking care in every aspect of life. both happy, our products will sustainably be developed and improved. 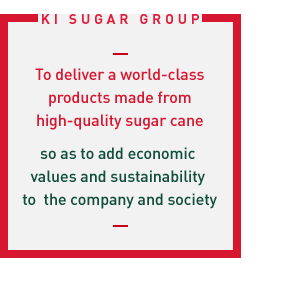 In order to reflect the stated business philosophy, KI Sugar group is currently involved in activities with the surrounding local community. activities continuously in almost every aspect. “The youth is the future of the country.” Currently there are some underprivileged youths that cannot afford school fees and supplies. KI Sugar Group recognizes such problems as well as sees the importance and has organized in giving out scholarships and school supplies every year. in campaigning and educating students by cooperating with local schools about “Developing Youth Free from Drugs” program. staff with the expertise in supervising and assessing the construction process as well. company also organized shuttle bus services to relieve concerns and traveling expenses. Scholarships are also given to the employee’s children with excellent academic track records from secondary school to university level. sport day for employees with winning prizes. community and sponsor prizes and sports equipment. Each region’s traditions, arts, and cultures would reflect the local communities’ valuable knowledge that were accumulated and passed down through many generations. The company is proud to be a part of supporting and continuing to preserve these traditions. Being one of the hosts in the Kathina and Forest Robe Presentation Ceremony, participating in the Buddhist Lent candle procession, sponsoring traditional long boat racing, and participating in Songkran Festival activities and other regional traditions are what the company will continue to support. Apart from that, every time there is a chance, the employees are encouraged to participate in those activities including Vipassana meditation, cleaning and fixing temples, and donating money to renovate temples and religious places. When there are trouble and less fortunate circumstances among the local community or when there are disasters happening to others around the world, the company never ignored about these situations. Giving out blankets to relieve the harsh cold weather, helping to fix houses of poor elders surrounding the factory, giving out relief packages during the 2010 flood in Nakhon Ratchasima, and donating funds to help Japan’s earthquake and tsunami disaster in 2011 are only some of the examples that the company had a chance to contribute willingly. 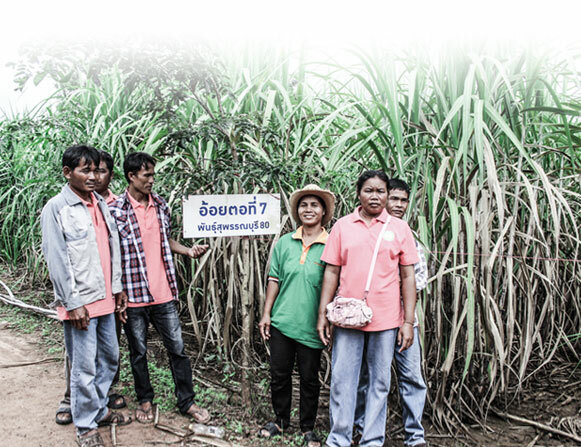 The company is glad to have an opportunity to become like a knowledge center for those who are interested including sugar cane farmers, the educational institutions, government sectors, or private sectors to visit and learn about the company’s production and environment management process.